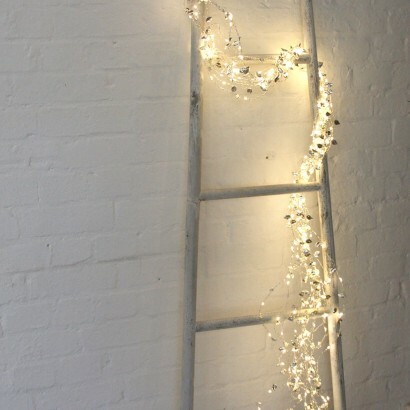 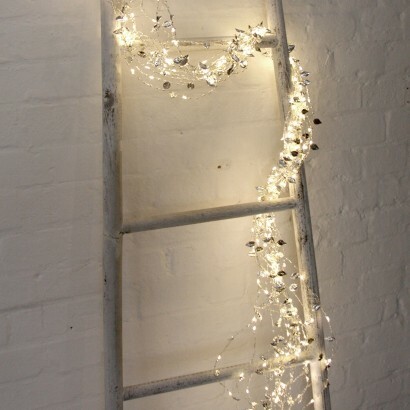 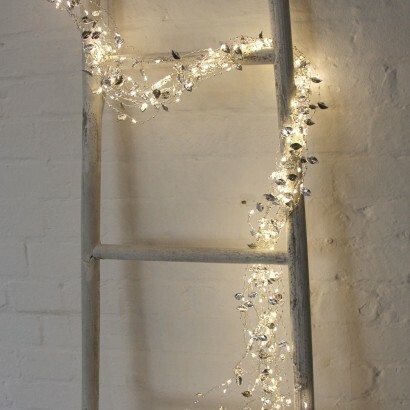 Create a beautiful cascade of flowing metallic leaves lit with warm white LEDs for elegant feature lighting. 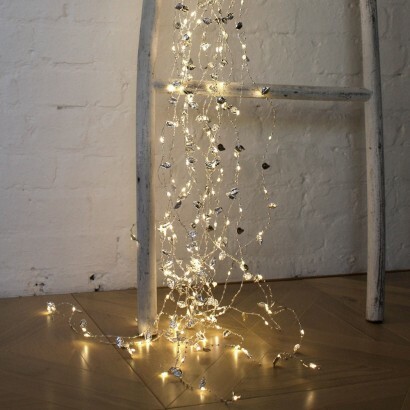 A central hanging point supports eight metallic strands of poseable wire, each decorated with twenty LEDs that add sparkle and shine to the stunning silver leaf detailing. 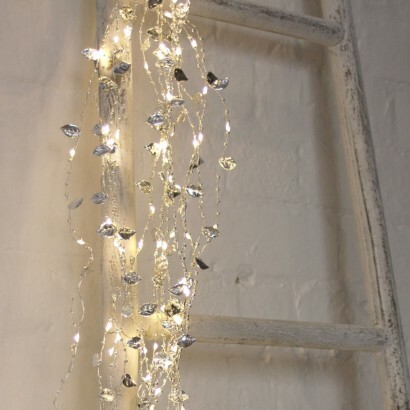 Mains operated, this stunning silver sway creates beautifully elegant lighting features, transforming the dreary into striking with minimal effort.